When it comes to print-mixing, plunging in head first can be scary. But don’t let it be! From polka dots to leopard, the art of mixing & matching is a liberating source of sartorial expression. And, once you start, you’ll find it’s an easy way to get more mileage out of your wardrobe. 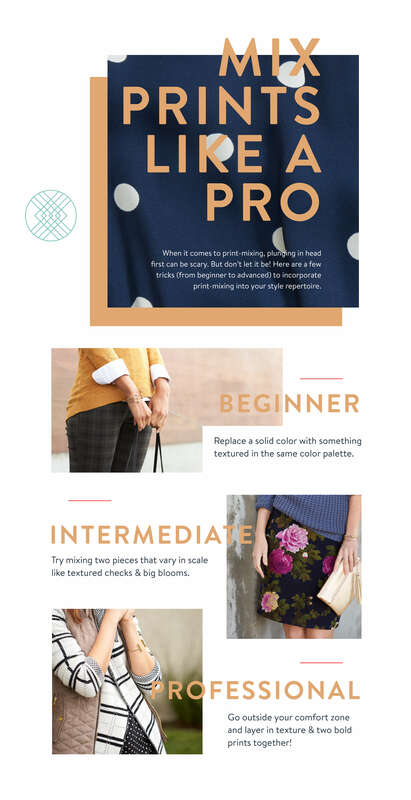 Here are a few tricks (from beginner to advanced) to incorporate print-mixing into your style repertoire. 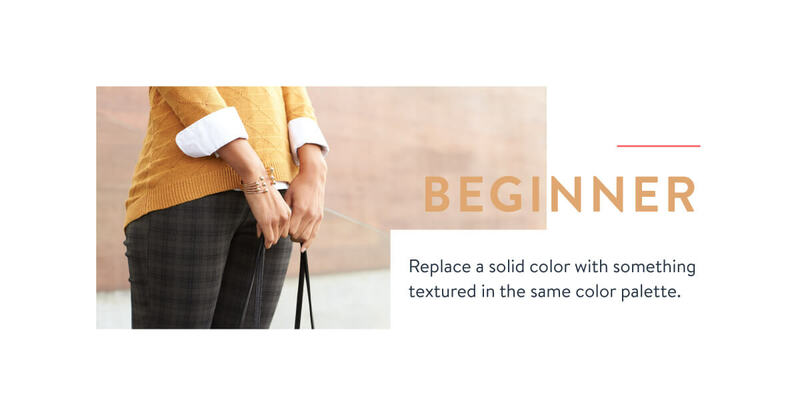 Ease your way into pattern play with this simple trick: replace a solid color with something textured in the same color palette. 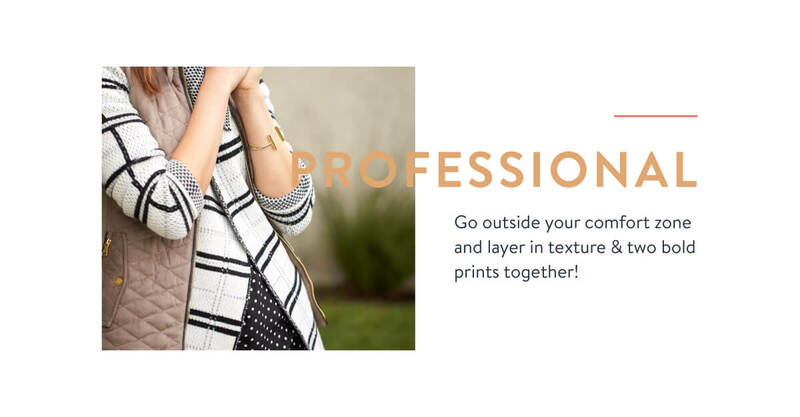 It’ll add subtle dimension to your printed piece without the full commitment of pattern-on-pattern. Ready to move on? 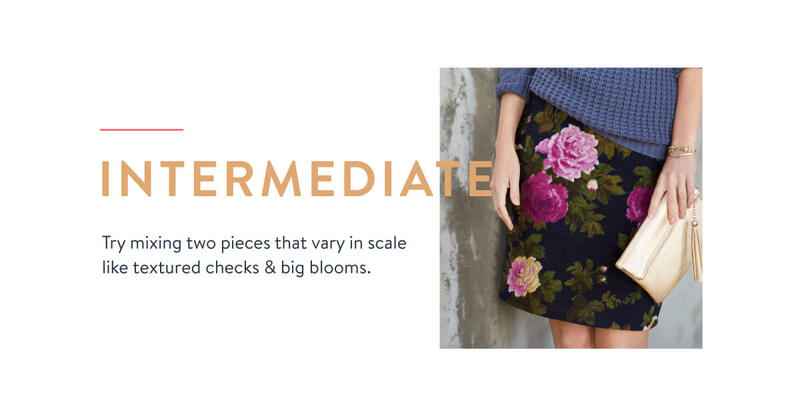 Take the next step & try mixing a textured check & bold florals. You can also play with small stripes & blooms if you’re feeling brave! Again, stick to the same color family. And remember: the smaller the prints, the more neutral & approachable the outfit is. Ready to take the plunge? Once you’ve upped your print-mixing skills, add in the unexpected. Try a pattern you’re less comfortable with, like leopard, with another bold pattern in a complementary color. What do you think of mixing and matching prints? 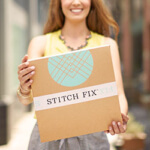 Schedule a Fix and tell your Stylist you want to give it a try!